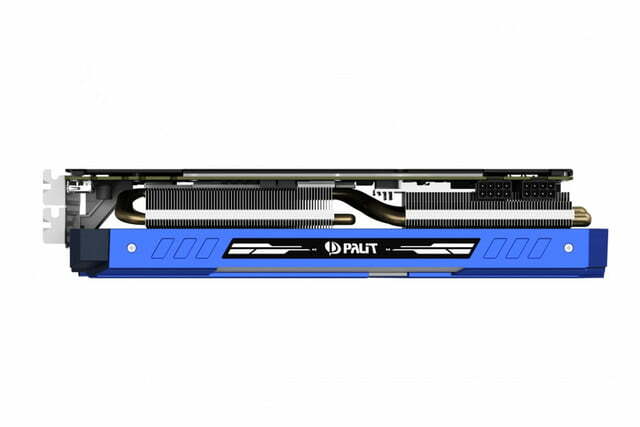 Palit uses an advanced air cooling system for its new GameRock GTX 1080 Ti graphics cards, having two pairs of fans spinning in opposite directions, which we’re told, eliminates the vortex effect and provides a “high-centralized air volume” to aid cooling. The cards also come with factory overclocks and an option for RGB lighting. With the Nvidia Titan Xp now the undisputed king of graphics cards, third-party manufacturers are doing their damnedest to differentiate their high-end offerings from the pack and bridge the gap in price between the 1080 Ti Founders Edition and the Xp. Palit’s attempt is certainly different to look at and should offer impressive performance, too. 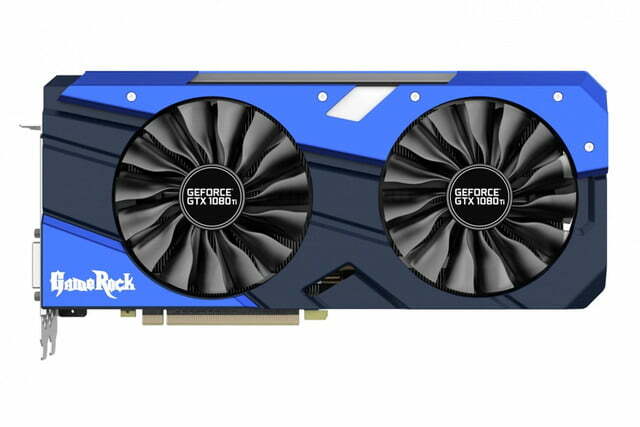 The GameRock GTX 1080 Ti comes in two guises, the standard version and the Premium edition. 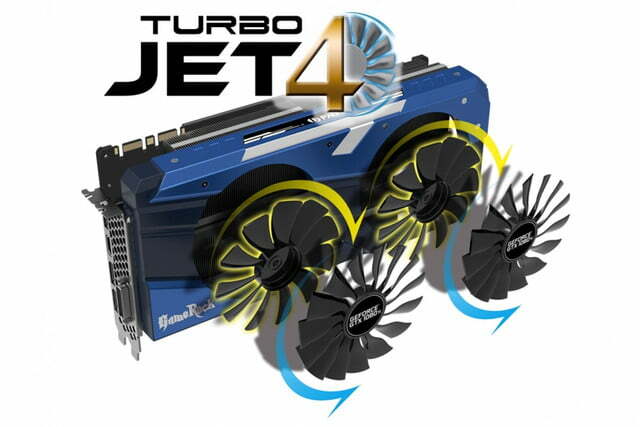 Both feature the extra large shroud and quad-fan configuration and have overclocked boost cores running at 1,632Mhz and 1,708Mhz, respectively. That’s 50Mhz and 126MHz more than the Founders Edition. They both feature the same 11GB of GDDR5X memory and require twin eight-pin PCIExpress power connectors to run. Each card can also be set to one of three different modes: OC, Gaming, and Silence, offering high performance, quiet power, and silent operation, respectively. Other features include a 12+2 phase PWM, which gives reduced choke noise and electromagnetic interference (EMI) and a dual BIOS, so should your overclock go awry, the card isn’t in danger of being bricked. 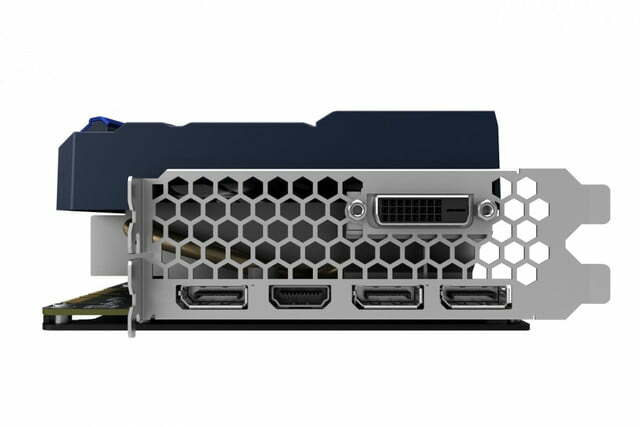 Alongside the usual three DisplayPort and HDMI connector, Palit has added a DVI-D connector to the GameRock GTX 1080 Ti’s. The addition of RGB lighting will be a boon for those who like to color-code their system internals, too. Though for those who don’t want it, it could be an added, unneeded expense. We don’t have any pricing or availability information as of yet, but finding these cards in the U.S. may prove near impossible anyway. 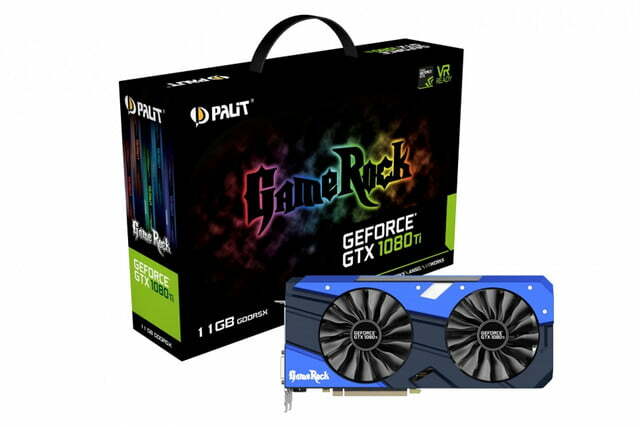 As TechReport highlights, very few Palit branded GTX graphics cards are sold in America, with even big collective storefronts like Amazon offering only a handful of options for the brand.